Your home is your personal space that you want looking nice and feeling comfortable. To do this, you have to be willing to put in the time and energy it takes to keep it updated and feeling fresh and new. Take inventory of your space and make a list of priorities that you wish to tackle. Remember that it doesn’t have to be stressful or intense. There are changes that’ll enhance the look of your home without you having to break your back. Get creative and be open to modifications. Let go and see where your enthusiasm takes you. See how to add style to your home effortlessly. Improve the look of your home by decorating the walls. Hang artwork in blank spaces to spruce up the hallways. It doesn’t have to be an expensive project. Head to local thrift or antique shops and find unique pieces that speak to you. You don’t need to overdo it either. Simply hang a few new frames on various walls to add character and class. Lighting can add sophistication and illumination to a room all at the same time. Your light fixtures are especially key to pulling a room together. 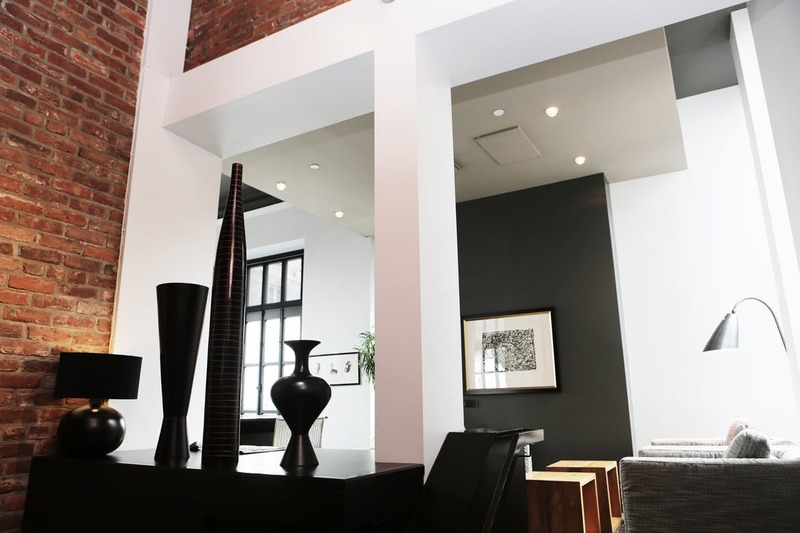 Shop around and find modern lighting options that are tasteful and elegant. Contemporary lighting will improve the visual layout of your space and supply a functional way to light up a room. It’s a great opportunity to enhance the style of your home and set the mood. You want your lighting to create an ambiance as well as be useful. Take a look at your space and see where you lack color. Color has the ability to brighten a room and give more life to your home. Adding an element of brightness to your bedrooms, kitchen and living area can transform your whole house. Use pillows, blankets, paint and décor to integrate splashes of color throughout your home. Even if you’re someone who loves the minimalistic, monochrome lifestyle, simply adding a vase of pastel-hued flowers can bring your home to life. Scan your furniture throughout your home and decide which pieces are old and need to go. After you’ve wiped out the dated elements, start shopping for new furniture that’s going to improve the look of your home. Consider coffee and end tables, chairs and couches. There are pieces that function as both storage and a place to sit or rest your feet. Look for furniture that gives your room a boost and is comfortable to sit on. The fun part about rejuvenating your home is that you get to decorate. Pick out a mix of personal and stylish items for your décor. Add plants, pictures and decorative bowls to spruce up the inside of your place. Be careful not to crowd any one area or place with too many random accessories throughout your home. Keep it simple and tasteful. Be proud of your home by taking care of it. Understand that making upgrades doesn’t have to be a major undertaking. Let your imagination run wild and have fun with it. This is how to add style to your home effortlessly.